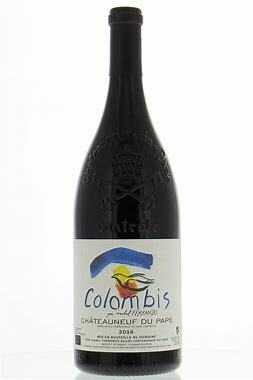 The 100% Grenache 2016 Chateauneuf du Pape Colombis is sourced from three different lieux-dits, each of which has sandy soils. In addition, the vines are all at least 60 years old. Matured in demi-muids, this beautiful wine features enthralling aromas of crushed stone, rose petals and ripe raspberries. Full-bodied and concentrated, the texture comes across as something weightless yet between silk and velvet, laced with exotic spices and lingering for minutes on the finish. It's another stunning example of Grenache from sand terroirs, and it's actually underpriced relative to its quality. Grab it while you can!